Purple was recently one of the hottest colors on the runway, then it made a splash in home interiors, and now purple has even taken honors as a trendy color for carrots. 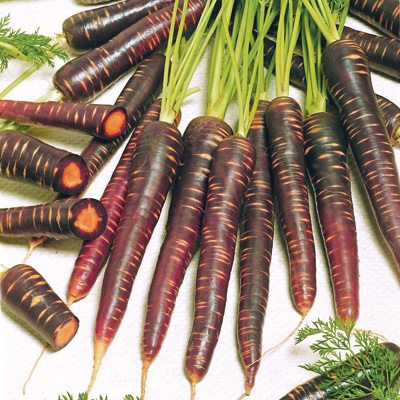 The Purple Haze carrots are one of the 2006 winners recognized by All-America Selections as “a flower or vegetable for significant achievements, proven to be superior to all others on the market.” With a deep purple exterior and bright orange interior, it is sure to be a hit with gourmet chefs. See all of this year’s winners. Where might purple turn up next?